Welcome to Day #6 of the Restoration Project. 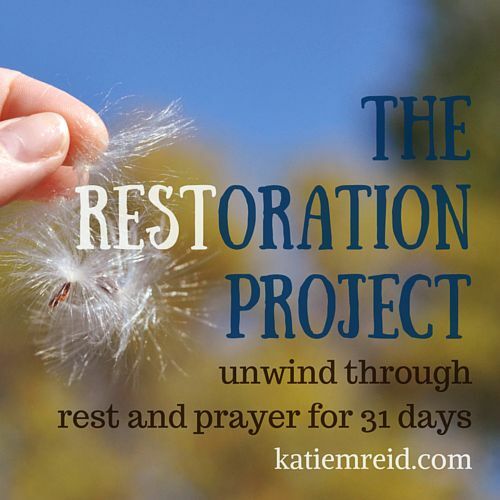 We are learning to unwind through rest and prayer this month as part of the write31days challenge. You can get caught up on Days 1-5 here. I’m sorry I forgot to announce the winner of the Origami Owl charm yesterday on Periscope (can I blame it on pregnancy brain? Or just ask for grace please!) Join me today on Periscope (@Katie_M_Reid) at 1:30 EST and I will let you know who the winner is then. It’s time to read your monthly letter. 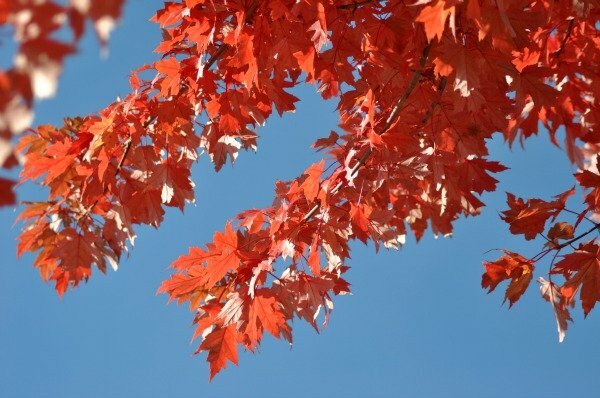 Grab a warm beverage and a few quiet moments to savor these words written for you. Restoration can feel anything but restful, but it is necessary in order to find true rest—soul rest. You cork your grief. You explain away your losses. You brush off your pain. And you keep going and going and going. I invite you to yield. I ask you to stop your frantic pace. Take some time and pour out your heart, your hurts and your hangups to Me. Shame is not my name. Nor do I bestow that title upon you. I listen—fully attentive, not in a rush. You hurry because you fear facing the pain within and behind you. But Child, I am a Perfect Father and I am not going anywhere. I am of sound mind and I am here to help you navigate this restoration project. I invented redemption. I am able to restore all things. I renew your life from the inside out. I came to save you. I was resurrected to free you from the power of sin. I intercede for you. I am for you. I am with you. I take your deficit and cover it with My Sufficiency. I ransom you with My blood spilled for you. I delight in you Daughter. I am pleased with you—My grace adorns you as a garland. I have woven you together and I am more than able to heal the broken places that have come through trials, trip-ups and thorns. At the moment of your salvation your restoration process began. As you spend time with Me and My Love Letter—My Word—you are being renewed. Follow My lead as I ask you to face the issues that bind you. I will help you—no matter what you’ve been through. Sometimes this restoration process hurts, but I promise that it is worth it and one day all will be well. This process is necessary. Trust Me to complete it and to uphold you through it. You can unwind in My Presence because I am good, sinless and perfect. I don’t make mistakes. Even when you don’t understand My ways, be assured that I am who I say I am. P.S. 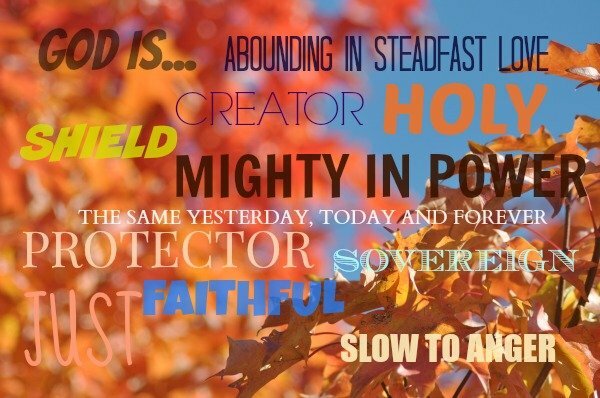 Linking up with Kelly Balarie’s #RaRaLinkup on Purposeful Faith. 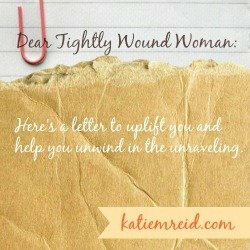 Ah, Katie, an invitation to slow down, and rest in Him. Yes! I think I’ll accept! Thank you for the reminder to be renewed in Him. Joining you from #RaRaLinkup! Beautiful, Katie. I never noticed the word rest in RESToration. Since that is my word for the year, and I have an ebook on rest currently on the shelf (not working on it), rest themes always pull me. He is all-sufficient. Blessings on your 31 Days project! Hi Ellen! Thanks for commenting and yes, let’s rest in Him today! I love the letters Katie! Such a great reminder for all of us. I need to remember always who God is and that he sent his son as the ultimate restoration project. Grace flows here, Katie! I am blessed! Why is it we hide ourselves away from the banners He is waving over us? Why do we let the shame and the doubt blanket us when the Truth of His promise is an ocean we can sink into and float for eternity? Thanks for reminding us of His promises that seal us closed from the arrows of hurt.